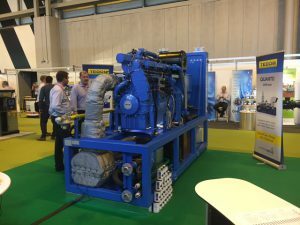 With anaerobic digestion plants now powering over a million UK homes, according to Renewable Energy Magazine, and with scores of farmers becoming self-sufficient with their energy supplies, it is little wonder that this year’s UK AD & Biogas 2017 and World Biogas Expo 2017 attracted more visitors than ever. 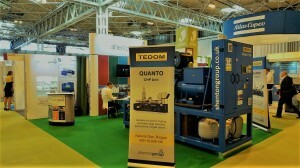 Welcoming scores of eager attendees to stand G201, shentongroup stood side-by-side with members of Tedom to demonstrate the merits of the Tedom Cento T160 Combined Heat and Power system that runs on biogas. Producing greener electricity utilising this far greener and increasingly harnessed fuel, the additional benefit of CHP is the conversion of the heat generated through electricity production to generate copious supplies of hot water. With AD capacity across the UK increasing 18% over the past year and with total energy generation of 10.7 TWh per year (Ethical Corp, 2017), scores of organisations are striving to meet their carbon commitments whilst reaping significant savings through the benefits of Combined Heat and Power. 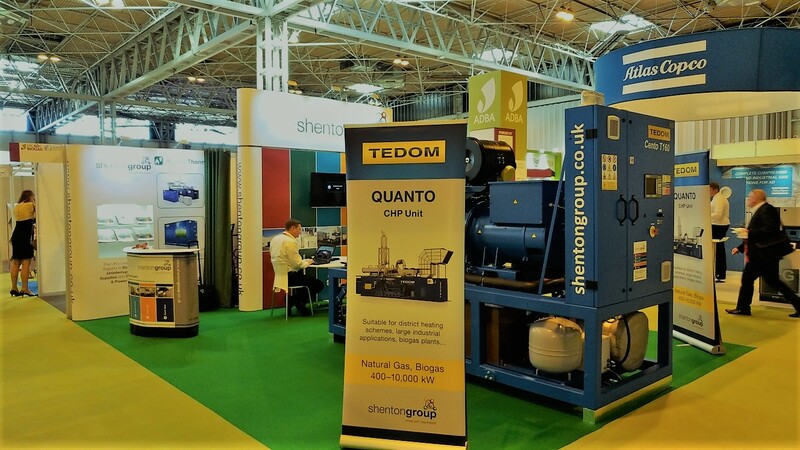 shentongroup’s Sales and Marketing Director, Curtis Meek, commented on his company’s involvement in yet another successful UK AD & Biogas: “shentongroup has been spearheading the biogas for CHP movement. As the sole UK and Ireland distributor of Tedom Combined Heat and Power Systems, UK AD & Biogas connects those serious about biogas and CHP with the UK’s Leading Technical Experts in Standby Power, Uninterruptible Power Supplies and Combined Heat and Power Systems”. shentongroup’s website www.shentongroup.co.uk serves as a library of CHP resources, with everything from case studies to white papers.